I have just bought a fire/boiler/stove, do I need a chimney? With the exception of electric and a few flue-less gas appliances, all units which burn fuel need to have their products of combustion discharged outside of the property. What sort of flue do I need? If you do not have a suitable chimney (see question on flue liners) then you will need to provide a chimney for your appliance. For wood, solid fuel, 35secs oil and some decorative gas fires this will need to be a chimney suitable for Class 1 appliances, as flue gas temperatures can become very high in certain circumstances, whereas 28 secs oil and other gas appliances can use a chimney suitable for Class 2 appliances. There are, of course many UK and continental manufacturers of flues and chimneys and most of them offer systems for any kind of appliance. Flue-Stox can offer choices of the most suitable product. What should I look for when selecting a flue system? 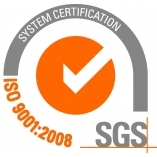 The CE Marks means that the flue has been tested to pan-European quality and performance standards. In the UK we also have British Standards for the construction and performance of all kinds of flues and flue linings, which broadly coincide with European Standard but, there is an important exception in that, there is an appendix to the European Standard EN 1856-1 (for flues serving Class 1 Appliances) designated BSEN1856-1. In part this is because UK Building Regulations require flues passing through floors and ceilings to have a minimum clearance from the surface of the flue to combustible material and still have 1/2 hour fire resistance. This achieved by means of a special fire-stop which allows air to pass freely but closes and seals in the event of a fire. This must be the same fire-stop used in the BSEN1856-1 test. 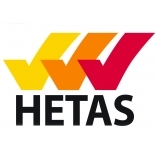 HETAS publish a guide for solid fuel appliances and flue and flue linings, which can be found online and Flue-Stox can advise on which products meet the appropriate standards. Are there laws regarding the installation of flues and chimneys? Yes, In the U K The Building Regulations determine what type of flues can be used, as well as design considerations such as the type of product and the route and proximity to windows and combustibles. The Regulations are a Statutory Instrument and are designed to ensure that flues are installed in a safe and proper manner. Most appliances, not just gas, but oil, wood and solid fuel, have the potential to produce carbon monoxide - a deadly poisonous gas - in certain circumstances. It is vital that the flue system is installed properly, to eliminate this hazard. 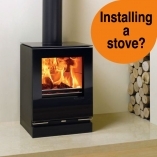 Flue-Stox can offer excellent installation advice. Do I need a flue liner if I have an existing chimney? This depends. If your chimney is suitable, sound, non porous lining then this should be fine. However we normally recommend the installation of liners as they offer a smooth flue way which resists the accumulation of soot and prevents condensation passing through the chimney breast and damaging decoration. Why does smoke blow back through my appliance? This is a difficult one. Most people put this down to downdraught. That is the wind simply blowing down the chimney. There is, unfortunately, only one possible reason and much money is spent on buying all different types of anti-down draught cowls. In modern houses, that are well insulated and sealed against draughts, the cause may be some competing ventilation such as another flue or kitchen extract. It may be the flue is un-insulated and cold or that it is too short to sustain draught. Without heat a flue has a very small natural draught, because of its height, but this is enhanced by the establishment of a column of hot air once the fire is established. We can offer advice on diagnosing the causes of this problem. My flue passes through the roof of my building. How do I ensure it is watertight? There are all kinds of flashing methods. Under slate and pan tile roofs a lead or aluminium flashing, fitted with a storm collar, is ideal. For smooth and corrugated roofs a Dektite or soaker flashing is more appropriate. I have bought an appliance but I need someone to install it. Can you recommend someone? Whilst we do not install flues we have a number of contractors amongst our customers that may be able to help you. Please give us a call. Flue-Stox have been established for over thirty years and we are proud of our ability to offer the best advice and quality service . 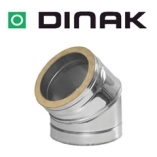 We have loyal and friendly staff with wide experience of both the domestic and commercial flue industry. We believe our technical abilities and state of the art computer design facilities are at the forefront of the industry. Wherever possible we use our own delivery vehicles and operatives, together with trusted carriers, to ensure your products arrive in perfect condition. If I buy from Flue-Stox, what guarantee do I have? 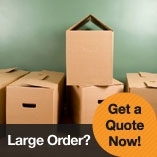 If your goods arrive damaged, and you advise us within 24 hours of receipt, we will arrange to collect and replace the goods, after inspection, without charge. If you have a few bits you have bought, that you do not require, you can return them to us, and if they are in good condition, we will give you a refund.